NAMMO A.S., is a leading developer and manufacturer of ammunition systems and missile & space propulsion products. The company has also become a world leader within environmentally friendly demilitarization services. The Nammo Group has subsidiaries in Norway, Sweden, Finland, Germany, Switzerland, USA and Canada. The Group's operational activity is divided into five business units; Small Caliber Division, Medium & Large Caliber Division, Missile Products Division, Demil Division and Nammo Talley. Nammos Small Caliber Division is one of the world's leading suppliers of niche technology and products. The company's extensive product range includes combat and premium projectiles, cartridge technology and commercial brands ranging from 5.56mm to 9mm ammunition. The MLCD covers a broad range of types of combat- and training ammunition for Army, Navy and Air Force applications. Full up rounds and components for ammunition in the caliber range from 12,7mm to 57mm as well as for mortar, artillery and tank applications are provided by the Division. The company also covers the M72 LAW, hand grenades, pyrotechnical products and excellent ammunition restoring solutions. The Missile Products Division mainly comprises production of propulsion systems and warheads for missiles as well as small rocket motors for space applications. The propulsion capabilities include advanced Thrust Vector Control systems. Development and major production programmes such as NSM, ESSM, IRIS-T and Exocet Block 3 have created an industrial environment enabling advancements in design, engineering and manufacturing capabilities. The Division has become an attractive partner for the world’s leading missile groups. 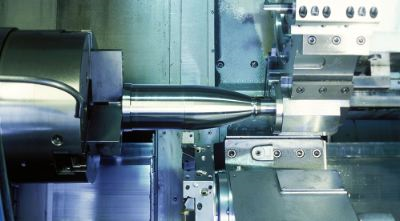 Nammo’s Division within demilitarization offers environmentally friendly recycling and disposal processes for all conventional ammunition and explosive products. The range covers everything from full disassembly and recycling of most types of ingoing materials, to thermal treatment fulfilling the strictest European air emission control regulations and environmentally controlled underground detonations. The Division has an extensive range of in-house developed equipments and technologies that are unique on a global scale. Nammo Talley operates as a separate and fifth Division within the Nammo Group. Talley has full design, analysis, development, test and production capabilities. The Business Unit started with aircrew escape systems and automotivesafety airbags and a solid propellant heritage of over 45 years. Modernisation of ammunition is a cost-effective alternative to procurement of new ammunition. 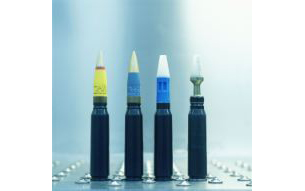 Using Nammo expertise to replace certain components, the performance, safety and reliability of the existing ammunition can be re-established or even improved. 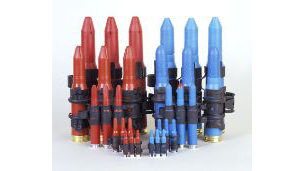 By replacing explosives with inert fill or special pyrotechnics (flash, “bang” and smoke effects), combat ammunition can be successfully converted into perfect training ammunition. Compared to purchasing new ammunition the cost savings for the client are typically in the region of 30-50%. Nammo Raufoss Test Center contains facilities, equipment and expertise to facilitate the most effective testing of ammunition, rocket motors and other products requiring advanced test set-up and measurements. Test firings take place in one of its 15 firing ranges, which cover ammunition spanning from 5,56 to 155mm. Advanced equipment for internal, external and terminal ballistics is available for measurement and documentation. In co-operation with Norwegian authorities, a National Nato Test Centre for small caliber ammunition has been established.